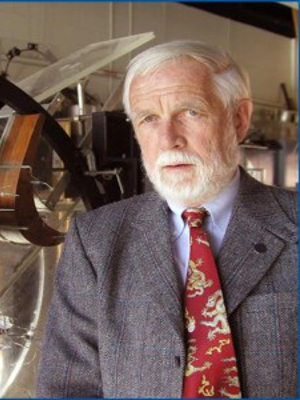 Dr. LEE LANGSTON received a BSME (1959) from the University of Connecticut, MS (1960) and a Ph.D. (1964) from Stanford University. He was with Pratt & Whitney Aircraft in Connecticut as a research engineer working on fuel cells, heat pipes and jet engines from 1964 to 1977. During these years he also participated in mountain climbing activities in various parts of the world. This included summiting Chimborazo (point of Earth furthest from the center), and T3, as a team member of the first ascent of this peak near Nanga Parbat. He joined the mechanical engineering faculty at the University of Connecticut in 1977, rising to the rank of Professor in 1983. At UConn he has taught graduate and undergraduate courses in heat transfer and fluid mechanics, with research activities involving the measurement, understanding and prediction of secondary flow in gas turbines. He served as Interim Dean of the School of Engineering in 1997-1998 and became Professor Emeritus in 2003. He is a Life Fellow of the American Society of Mechanical Engineers (ASME), has served as Editor, ASME Journal of Engineering for Gas Turbines and Power (2001-2006), and has been a member of the Board of Directors of the ASME International Gas Turbine Institute (IGTI). In recent years, Professor Langston has written a quarterly column and an annual review of the gas turbine industry for IGTI and ASME’s Mechanical Engineering Magazine, and a technologue column for American Scientist.y.